Crocodile Kruger Safari Lodge is aptly situated on the banks of the Crocodile River, overlooking the Kruger National Park, offering both the leisure and corporate client a gateway to the regions' many tourist attractions. In addition to the professional big 5 game viewing experiences on offer in the Kruger National Park, the Crocodile Kruger Safari Lodge is uniquely positioned to further afford its visitors the opportunity to experience day trips to the Panorama Route, Swaziland and Mozambique. The double storey thatch roofed lodge offers six luxury en-suite, air-conditioned double bedrooms with sleeperwood furniture. 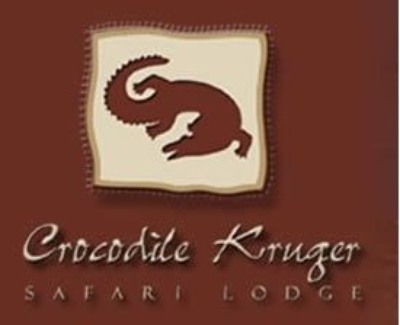 Each room at Crocodile Kruger Safari Lodge offers a view of the river and bushveld and breathes rest and comfort. The lower deck accommodates a dining area where breakfast can be enjoyed while overlooking the swimming pool and the upper verandah is equipped with comfortable chairs and a bar for the thirsty, with spectacular views overlooking the river and Kruger National Park. Dining at night takes place under the stars in summer or next to an open fire on the chilly winter nights.